My Life In Arts n' Crafts: Lorby's World Of Hops- Cows vs Horses! Lorby's World Of Hops- Cows vs Horses! 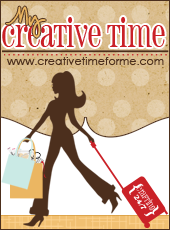 Welcome to today's blog hop. Today celebrates 2 special holidays: LOVE A COW DAY and NATIONAL HORSE DAY so to celebrate some very talented crafters have come together to show off their work and two pick their favorite animal: horse or cow. 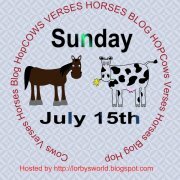 Have fun seeing the projects that revolve around these to wonderful animals as well as find out who is our winner in Cows Verses Horses Blog Hop! Jearise over at Lorby's World is our hostess today and she is giving the digital black and white stamps of the horse and cow pictured on our blog button. 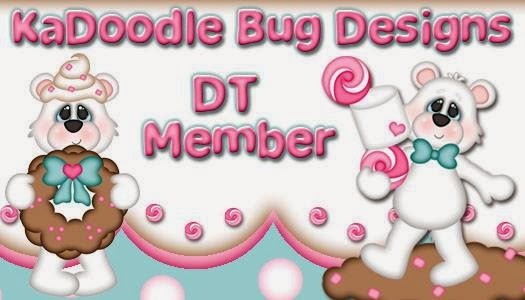 All you have to do is become a follower of hers and hop through leaving a comment on the other crafter's blogs as well as hers. You should have come from Jamie to my blog. Did you guess what animal I picked? for this card i used paper doll dress up, i used the cow boy and his cow. i hit the cows eyes so i could stamp them with a peachy keen. I used my distress markers to add some doodle. I stamped you can do it on the top. i used my Jute which is available in my store to make a rope to catch his cow. colored the eyes in but i got a little over board and then lost my white gel pen. oh well. i found this cute cow paper at my one and only local scrap store, its just scrapbooking I love it. Thank you for stopping by today and now please continue on to Cicly! hey Cowpoke! I love cows too! Very cute card! Super cute card! Love the little faces! very fun! love the added lasso. The little cowboy is so cute! I love how you used your jute to make a lasso/rope.. That's super creative! Your project is really cute and so are the cowboy and his horse. I also loved that you used jute for the rope. TFS. Your project reaks of cuteness!!! Absolutely adorable! I have this cart, I'll need to explore it some more. TFS.